28 Jan 2019 Academy | New classes in Alientech Headquarter! For the month of April, in Alientech Headquarter, a complete session of training courses is scheduled – Basic, Advanced, Expert. 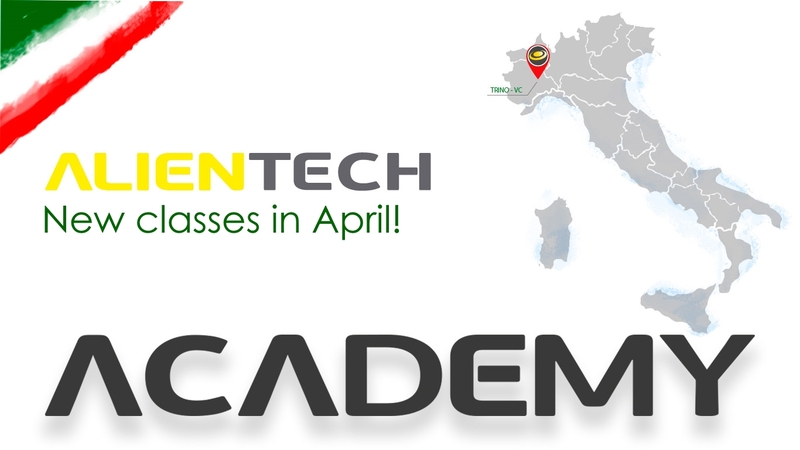 From April 8 – April 16, 2019 in Alientech Academy classroom, our expert trainers will wait for you with a rich and detailed program, which will give you the opportunity to know fundamental concepts of the world of remapping and chiptuning; deepen the remapping techniques on petrol and diesel engines; learn to use the Driver Maker plug-in independently. All Courses will be in English! With our training courses, you have the opportunity to become independent and above all competent. Each program is planned to give theoretical knowledge as well as practical information in order to safely use Alientech tools and software. Following our training plan, nothing is left to chance and you’ll get skills immediately usable in your work. Alientech Academy – Becoming a Chiptuning PRO with us! Three days to familiarize with Alientech tools (KESSv2, K-TAG and ECM Titanium) and to learn the meaning of chiptuning and remapping. Two days of advanced courses, for which it’s necessary to have previously acquired the basic skills, where you’ll see in detail all that you need to know about modern gasoline and diesel engines; theoretical elements as well as many practical examples of mapping and testing on dyno bench! Our trainer will guide you through the processes of ECM Driver Maker and the analysis of the construction of the engine management maps. The high level of specialization of the subjects requires to split the course into two days, to face with the right approach the entire program. In this course, practical examples are very important too, because they give you the chance to be immediately operative. This training course really makes a difference, giving you the knowledge and the right tools to be the professional that you wish to be. Ask more info about our Training Session!